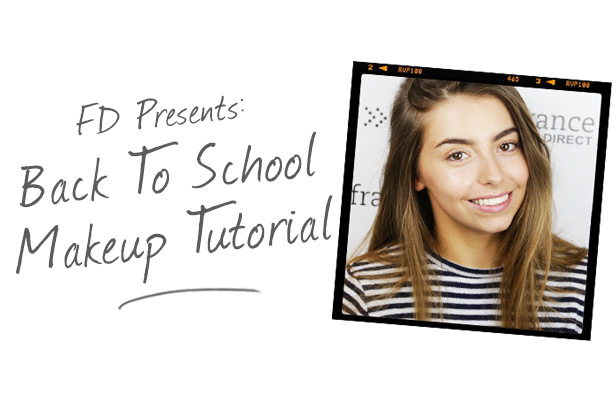 Back to school season is right around the corner, so whether you’re starting a new school or simply going back for another year, we’ve decided to create an easy, affordable, school-friendly makeup look that will suit just about anyone. 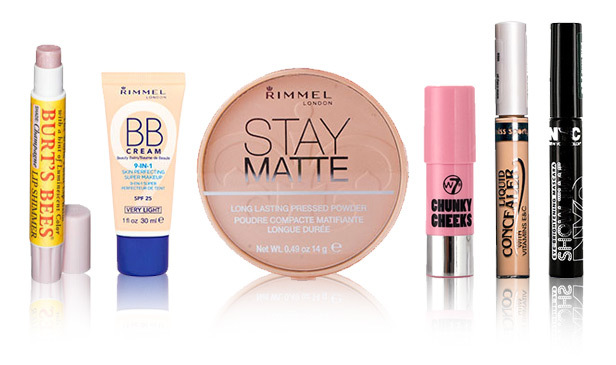 First, prep the skin by applying the Rimmel 9 in 1 BB Cream. Not only does this give you a flawless (yet natural!) finish, but it will also help to moisturise your skin throughout the day. For a bit of extra coverage try applying the Miss Sporty Liquid Concealer under the eyes and over any blemishes. This concealer is amazing value for money, and contains vitamin A and C to help brighten the eyes over time. No more under eye bags! By this time it’s a great idea to add a touch of colour to the face to brighten up the look. For a natural, flushed finish try applying the W7 Chunky Cheeks blusher in ‘New York’ on the apples of the cheeks. This product is great because it’s really build-able and blends like a dream. To help mattify the look, apply a light dusting of the Rimmel Stay Matte powder across the t-zone. Apply it all over for a more matte look! This will also help to keep all of your cream products in place throughout the day. And of course, what’s a makeup look without a touch of mascara? Since we want to keep this look as natural as possible we’ve decided to opt for the brown Show Time Eye Brightening Mascara from NYC. And finally it’s time to apply a little pop of colour to the lips using the Burts Bees Lip Shimmer in the shade Watermelon. Not only does this smell and feel amazing on the lips, but it also looks great too! Think of it as perfect lips in a tiny affordable tube. And you’re ready for your first day back at school! lovely producs at amazing prices!! !